The ballot for tickets to the Mayor of Farnham’s Civic Christmas Carol Service is now open. The service will be held on Thursday 13 December at St Andrew’s Church, Farnham. 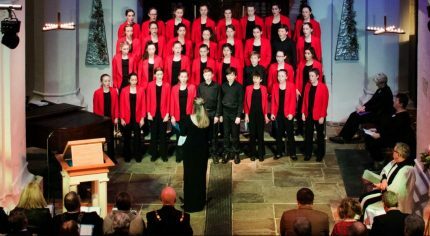 Starting at 7.30pm, the traditional service will include Christmas readings and exquisitely sung carols and music by the highly renowned Farnham Youth Choir. Half the tickets will be given to local charities and organisations to say thank you for all that they do while the remaining half will be allocated via a public ballot. Councillor David Attfield, Mayor of Farnham says: “The Civic Carol Service provides an opportunity for guests to take some time away from the hustle and bustle associated with this time of year and to pause and reflect on the meaning of Christmas. “The service is a very heart-warming event which is held in a beautiful setting. I look forward to welcoming guests to this special occasion. Anybody wishing to apply for tickets, should complete and return the coupon in this week’s Farnham Herald (22 November edition). Everybody who attends will be invited to join the Mayor after the service for a festive drink and light refreshments.